Husqvarna Motorcycles regrettably announce that Rockstar Energy Husqvarna Factory Racing’s Mathias Bellino has suffered a second shoulder injury, which forces him to miss the 2017 International Six Days Enduro and the remaining two rounds of the EnduroGP World Championship. Standing in for Mathias at the ISDE to represent France, Christophe Charlier will compete in the event for the first time. Working hard in recent months to return from a shoulder injury sustained prior to the season opening EnduroGP of Finland, Bellino has been gradually building his speed and fitness during the last three GPs. Picking up his latest injury to his right shoulder while training for the upcoming ISDE, Matthias fractured his shoulder blade and will today undergo surgery. He will be out of action for a minimum of three months and will miss the last two round of the EnduroGP series in the United Kingdom and Germany. Husqvarna Motorcycles and the Rockstar Energy Husqvarna Factory Racing team wish Mathias all the best for a quick recovery. 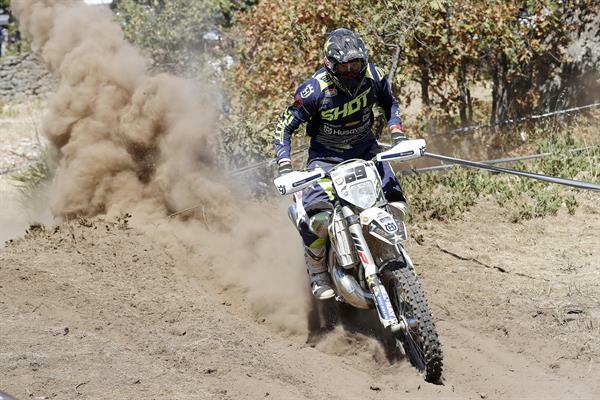 Replacing Bellino at this year’s International Six Days Enduro will be Rockstar Energy Husqvarna Factory Racing’s Christophe Charlier, with the FE 350 powered rider set to contest the week-long event for the first time in his career. The 2017 ISDE takes place in Brive from August 28 to September 2.